I’ve been meaning to make chili for quite some time now, but the tail end of a nasty cold and a long work week made it very difficult to think about cooking something that might take 45 minutes to an hour… the solution? 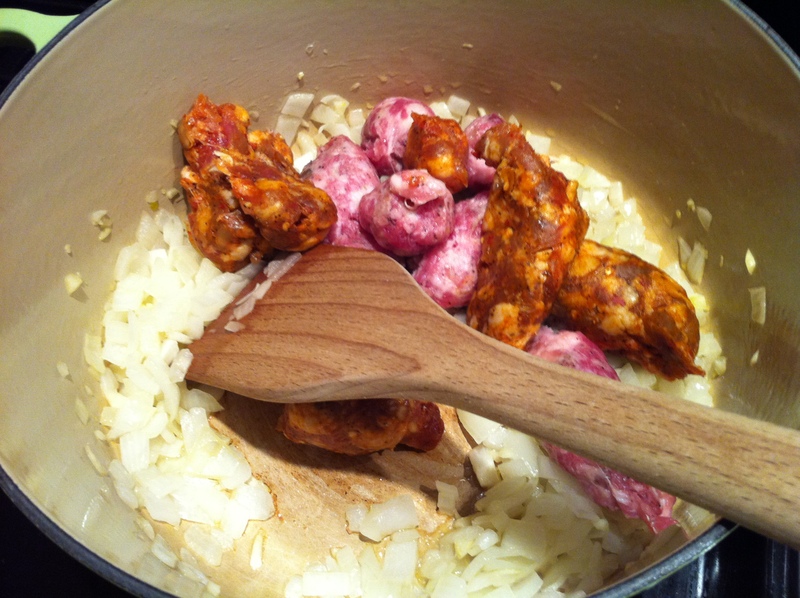 A VERY quick and easy sausage and bean soup. It definitely packs a similar flavor punch and is equally as hearty as a chili, but comes together in a fraction of the time! Win win. This recipe comes from my great aunt Sylvia — I’m not quite sure how she discovered it, but it sure is a keeper! In a large pot, saute the onion and garlic in olive oil for a few minutes until transluscent, add the sausage (remove casings if you buy links), and break it up/cook it through. Pour in the drained and rinsed beans, tomatoes and broth, cover the pot and simmer for 10 minutes. Season with salt and pepper to taste. Serve with a sprinkle of parmesan cheese and some delicious bread — quite a hearty and warming meal for a chilly (or strangely hot and humid…) fall night! 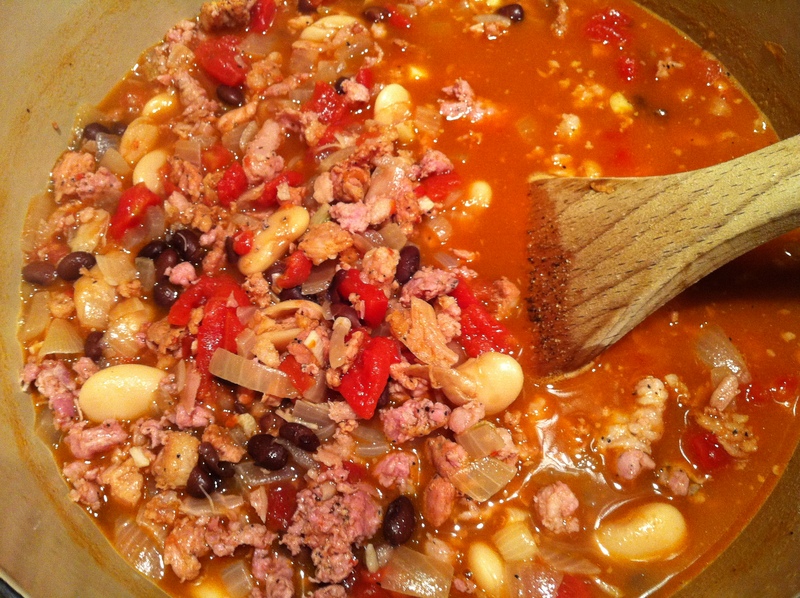 This entry was posted in Beans, Cheap Eats, Encased Meats, Pork, Quick & Easy and tagged bean, dinner, sausage, soup, winter. Bookmark the permalink.